AI and machine learning are impacting just about every industry, and the oil and gas industry is no exception. AI and ML are helping companies with unstructured content and data, as well as augmenting human jobs without replacing them. 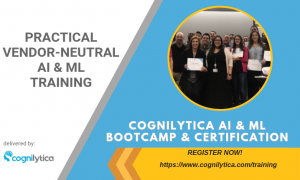 Listen to this podcast as Cognilytica analysts Kathleen Walch and Ronald Schmelzer interview Joel Hron, CTO at ThoughtTrace, a company applying AI to processing documents many decades old. 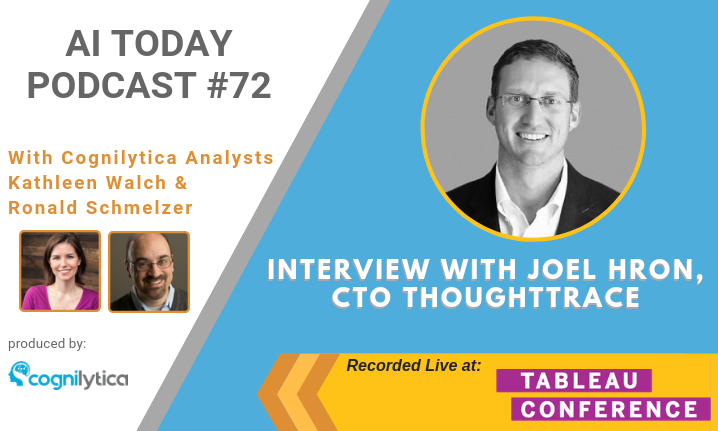 This podcast was recorded live at Tableau Conference 2018 in New Orleans, LA. ThoughtTrace exists to empower people and companies to greater insight and creativity through better access to their most challenging information. We help enterprises review and validate critical information in existing contracts and legal documents. Using artificial intelligence (AI), natural language processing, and machine learning, our SaaS platform, ALI™ reads words, sentences, and paragraphs just like a human does, driving better strategy, decisions, and execution. With results in minutes or hours, not weeks or months, advanced analysis and understanding is your edge.